Dr. Takigawa helps patients in and around Irvine, Calif., enjoy a lifetime of healthy teeth and gums by providing the care and guidance they need to maintain good oral hygiene throughout their lives, including routine cleanings and office visits aimed at spotting and addressing oral health issues in their earliest stages. Preventive dentistry is the area of dentistry that focuses on the prevention of tooth decay, infection, gum disease, oral cancer and other oral health problems. It includes prophylactic care options like routine cleanings and repair of small fillings and other defects, oral cancer screening, and education in proper oral hygiene so patients can take the necessary and important steps to prevent serious oral health issues from occurring. Routine office visits and dental cleanings form the cornerstone of preventive care. Preventive dentistry uses the most advanced options to help prevent the development of more serious oral health problems, you can preserve the health of your teeth and gums, avoid gum disease and tooth loss, be screened for oral cancer on a regular basis, and of course, reduce or completely avoid the need for more complicated and more costly interventions later on. What kinds of procedures or treatments are considered preventive? Routine checkups and dental cleanings are two of the most important types of preventive care options, but restorative procedures like cavity fillings, veneers and bonding, inlays and onlays, and crowns can be considered preventive because they correct issues that could develop into serious problems without preventive care. Straightening teeth with orthodontics and replacing missing teeth with dental implants also have a restorative component. What does good home care involve? Taking care of your teeth between professional cleanings is a vital part of achieving and maintaining optimal oral health. 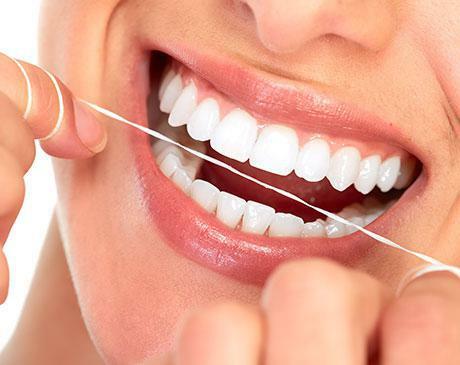 Even if you brush and floss regularly, your technique may not be ideal, which means you could be leaving areas of tartar and bacteria that can cause decay and gum disease. During your cleaning appointment, our hygienist will be able to spot these areas where improvements are needed and offer you the guidance you need to care for your teeth properly in between office visits.